Our surroundings can powerfully affect our thoughts, emotions, and physical responses, whether we’re awed by the Grand Canyon or Hagia Sophia, panicked in a crowded room, soothed by a walk in the park, or tempted in casinos and shopping malls. 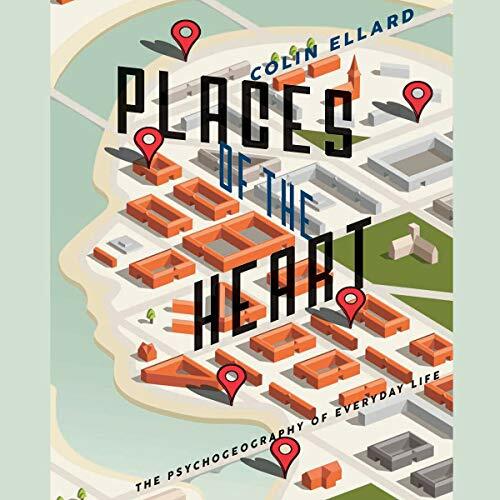 In Places of the Heart, Colin Ellard explores how our homes, workplaces, cities, and nature - places we escape to and can’t escape from - have influenced us throughout history and how our brains and bodies respond to different types of real and virtual space. As he describes the insight he and other scientists have gained from new technologies, he assesses the influence these technologies will have on our evolving environment and asks what kind of world we are, and should be, creating. Colin Ellard is the author of You Are Here: Why We Can Find Our Way to the Moon, but Get Lost in the Mall. A cognitive neuroscientist at the University of Waterloo and director of its urban realities laboratory, he lives in Kitchener, Ontario. Finally an author talks about the psychological influence that our environment has on us. Where we live, what we see, and even the buildings we interact with on a daily basis can influence how we feel. Colin Ellard has some incredible insights into historical architecture like Stonehenge but also why we love some homes and hate others. A total must read for anyone who cares about their city and themselves.